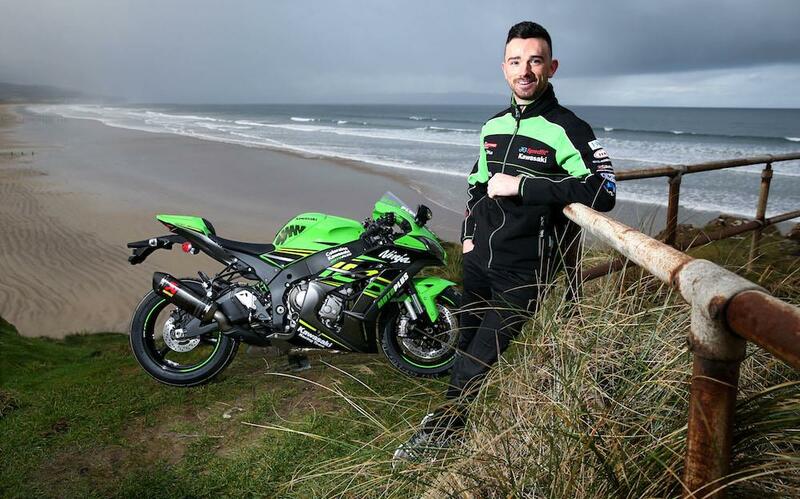 Winner of the last three North West 200 Superbike races Glenn Irwin will return to the iconic triangle course this May with a new target – to become the first man to win six races at the event. As well as the superbike classes, Irwin will also compete in the Superstock and Supertwin races. Moving from the Be Wiser Ducati team to the Quattro Plant JG Speedfit Kawasaki team for his 2019 Bennetts British Superbike championship challenge, Irwin will take to the roads on the Quattro Plant Wicked Coatings ZX-10RR in both superbike races as well as riding the team’s stocker in the Superstock classes. He’ll then race an ER-6 Kawasaki for the CMS/KW Electrical team in the two Supertwin outings, and as always, the Ulster ace is aiming big. "I am giving myself every chance to win six races at this year’s North West," Irwin said. "It has never been done before and I will be trying my hardest to win every race I start in. "The ZX-10RR is a lovely bike to ride and I think it will allow me to bring some aggression back into my riding style and really show what I can do. "There is a vibe in the team that will bring out the best in me and after riding a test in Spain in November I feel at home with the boys and part of everything already." Irwin, who finished third in last season’s BSB series on the PBM Ducati, is determined to be race ready for his 2019 NW200 and BSB challenges. "When I raced at last year’s North West I had a lot in hand," he says. "Even when I made a mistake in the first race I had such a big lead that I wasn’t under any real pressure but it might be different this year. All road races are very competitive now and although I will be stronger in 2019, so will the others." Irwin points to Peter Hickman, this year’s Senior TT winner and new Mountain course lap record holder, as his biggest threat. "Peter is a good friend of mine and the best road racer in the world at the moment after what he did in 2018. He still hasn’t won a superbike race at the North West and he will be out to put that right in May." Irwin remains confident he has the machinery and speed to keep the threat from Hickman and the rest of the superbike pack at bay. "There will be other riders who will be very competitive this year but I will concentrate on me and I will be at the North West dedicated to the cause, chasing that first six-timer," he smiles.